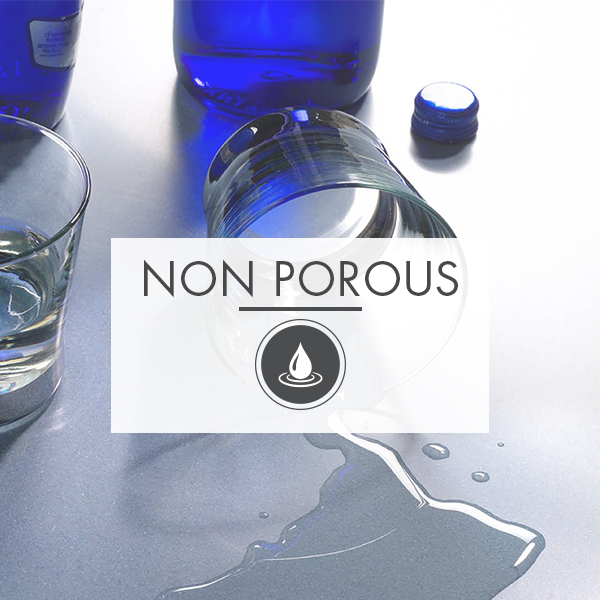 KRION® does not allow bacteria to grow or spread on its surface due to its non-porous composition. 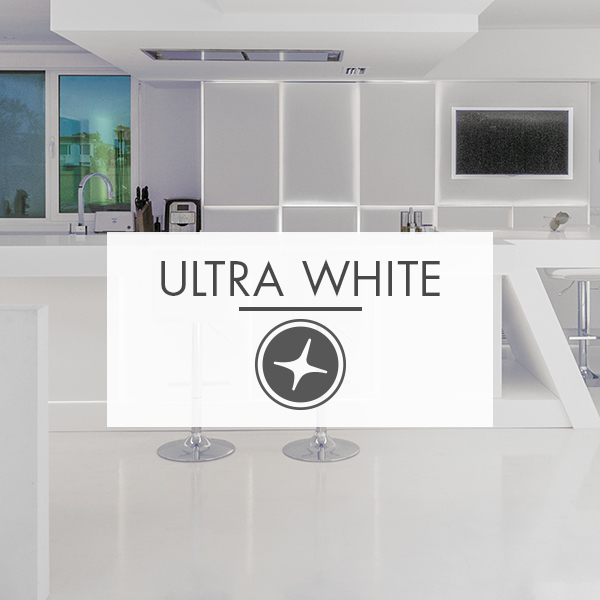 KRION® offers a 99.8% degree of whiteness - a brilliant white that is unique among existing solid surfaces. 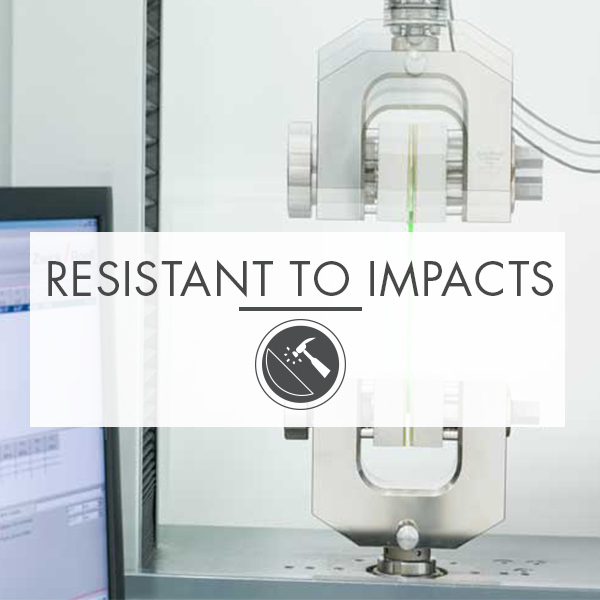 Out of all solid surfaces in the market, KRION® has the highest capacity to absorb impacts. 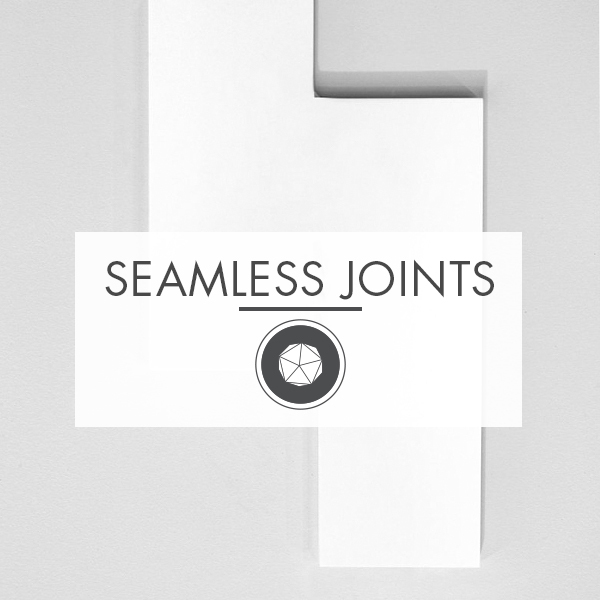 Bonding kits of similar composition to KRION® are used to create seamless joints. 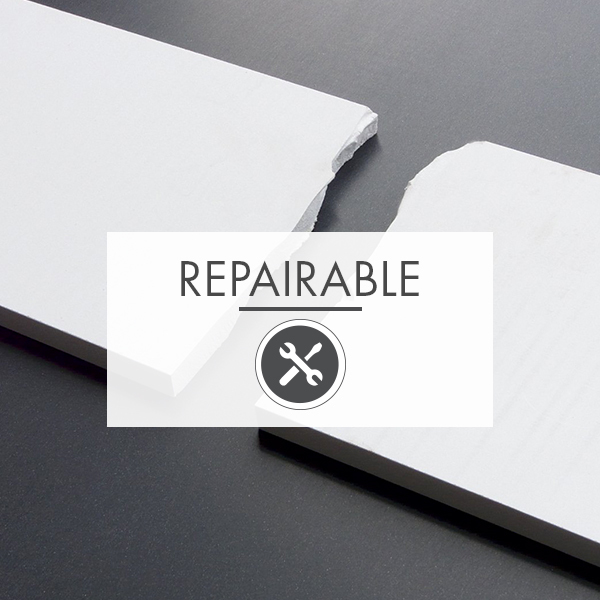 KRION® is able to be repaired to its original form easily - it can be done on-site with a simple kit. 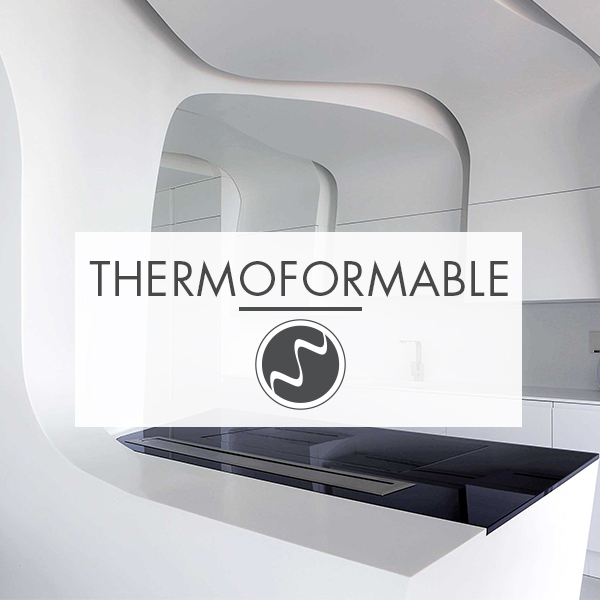 KRION® sheets can be thermoformed to create curves and 3D shapes for intricate designs. 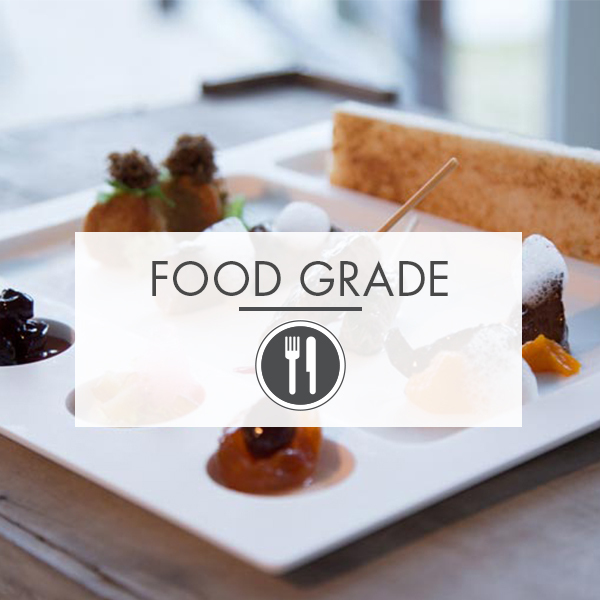 KRION® can be used and come in contact with food in both commercial and non-commercial settings. 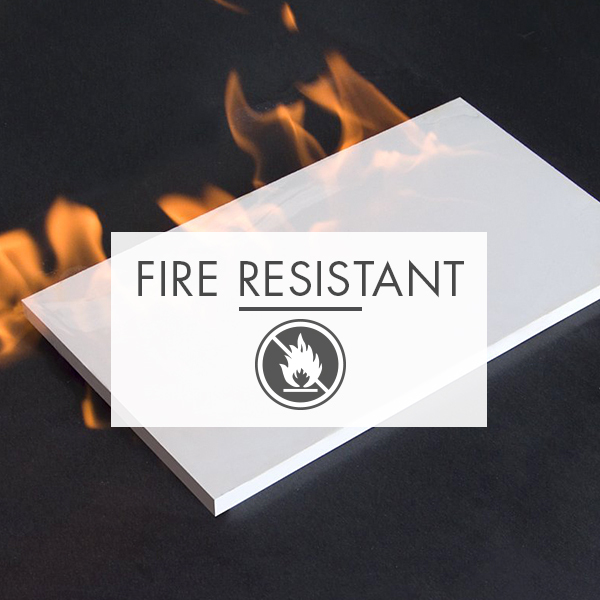 In the event of a fire, KRION® does not release toxic or thick smoke that might hinder the evacuation of a building. 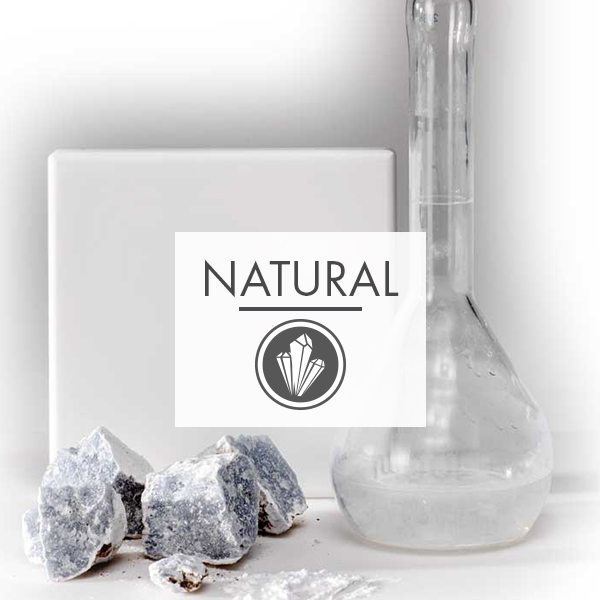 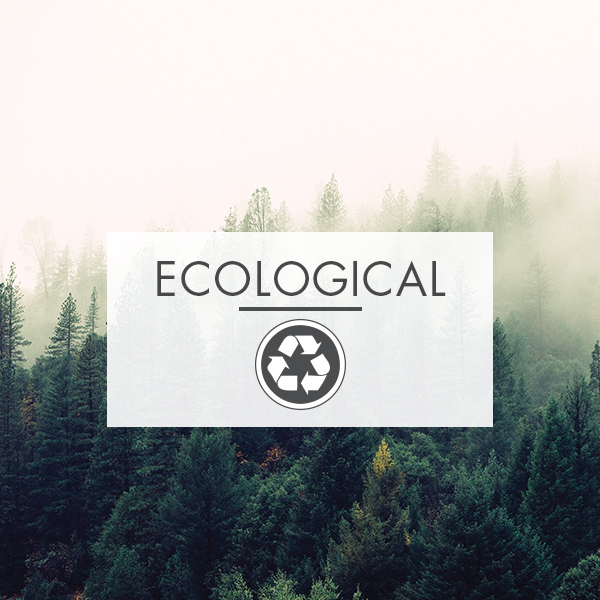 KRION® is made of two-thirds natural minerals (ATH) and a low percentage of high-resistance resins. 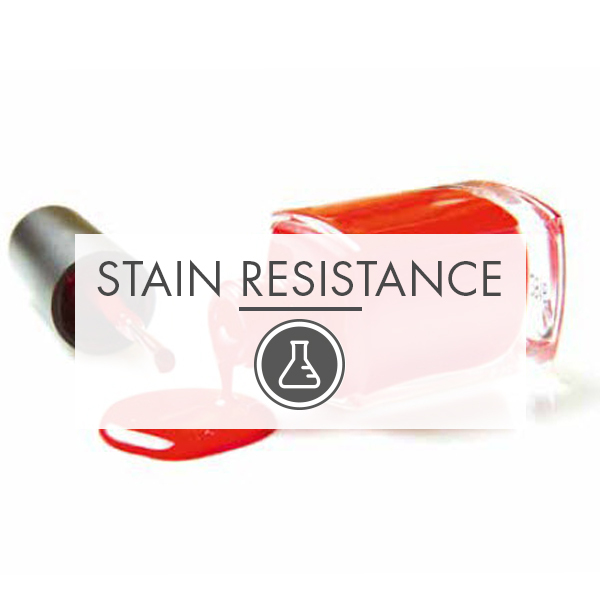 Any normal stain, superficial burn, graffiti or marker pen stain can be removed. 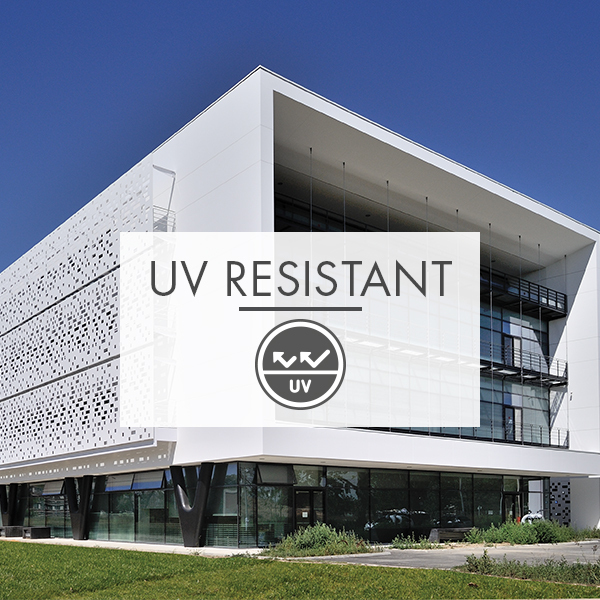 KRION® has a low thermal conductivity, which gives it resistance to ultra-violet rays. 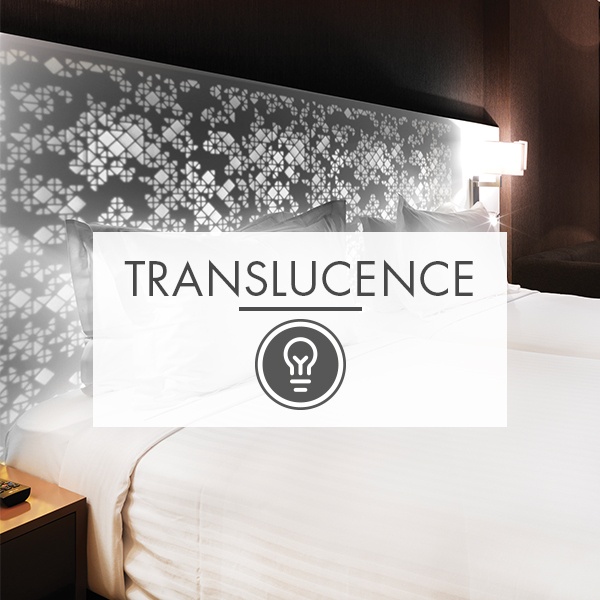 KRION® can be backlit and used in designs or settings to cast indirect lighting on features and/or wall coverings. 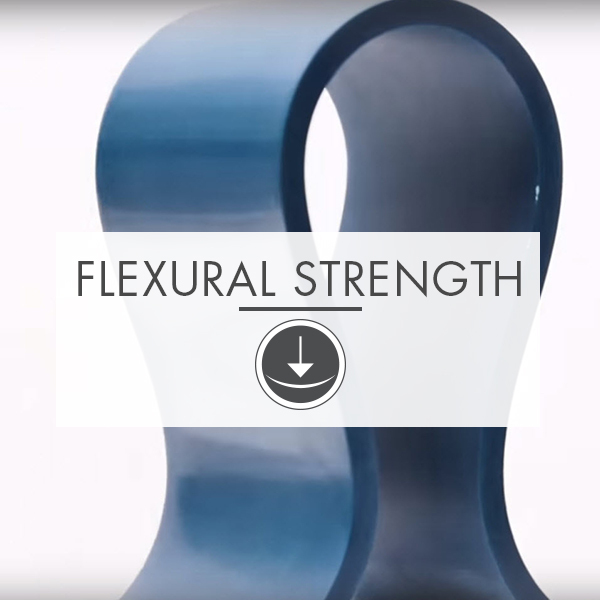 KRION®'s high flexural strength makes it easy to fabricate in seamless aesthetically pleasing dimensions. 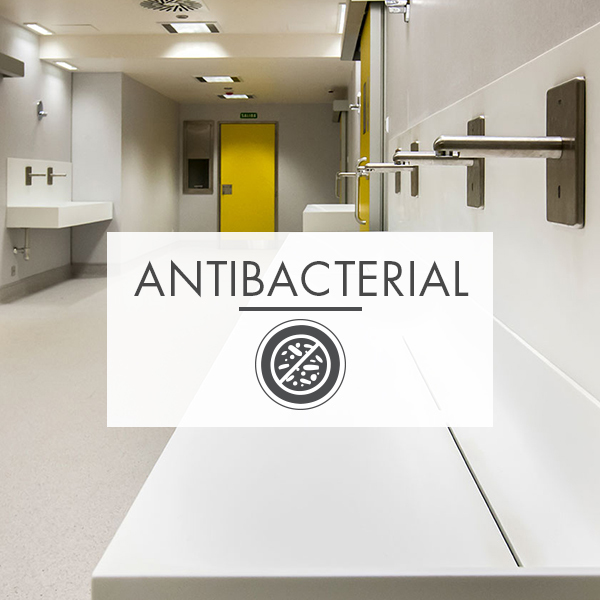 KRION® is a non-porous material and prevents the spread and growth of bacteria. 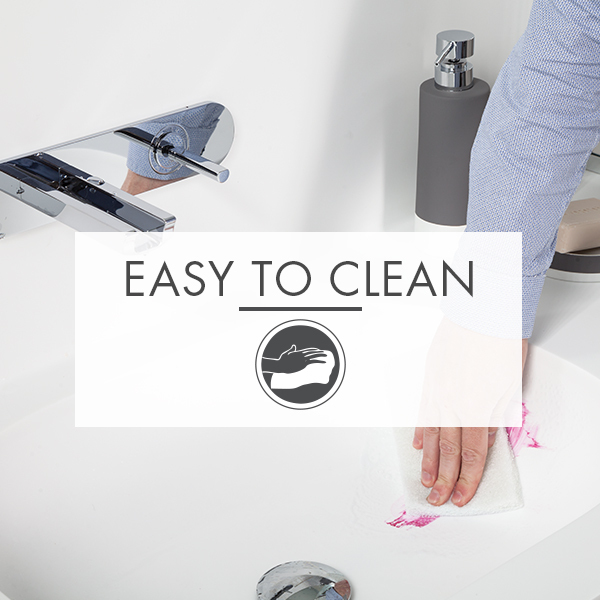 KRION® is highly resistant to chemicals and is easy to clean due to its non-porous property.